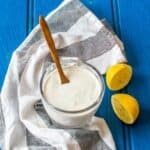 How to make vegan mayonnaise that is eggless, free from soy and taste just like the real thing, using only a handful of common pantry ingredients. Here is another variation recipe – mayonnaise aka mayo. This time I’m doing it vegan style, that’s right I’m talking about whipping up a batch of egg free mayonnaise. 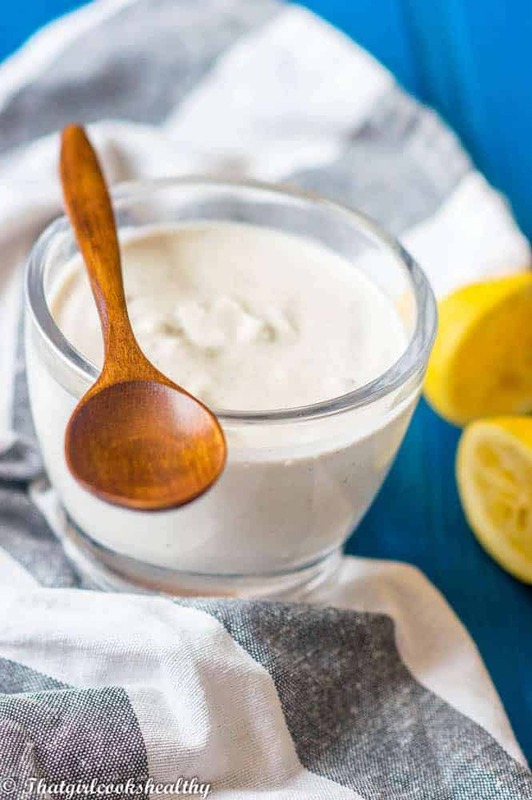 Vegan style mayo is perfect for those who lead a dairy free lifestyle or simply vegan – regardless this mayonnaise without egg makes the perfect dip, sauce or even a sandwich filling. Does mayo have dairy in it? Now let’s talk more about mayonnaise…or should I say mayo. 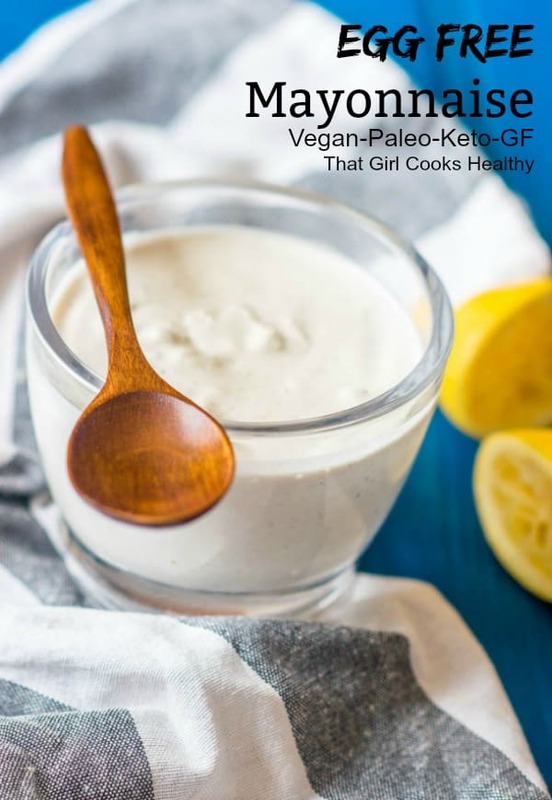 Well mayonnaise is a thick creamy dressing that’s very popular within the food industry. The good news is that no form of mayonnaise actually contains any type of lactose, so those who are afflicted with a dairy intolerance are okay to eat it. 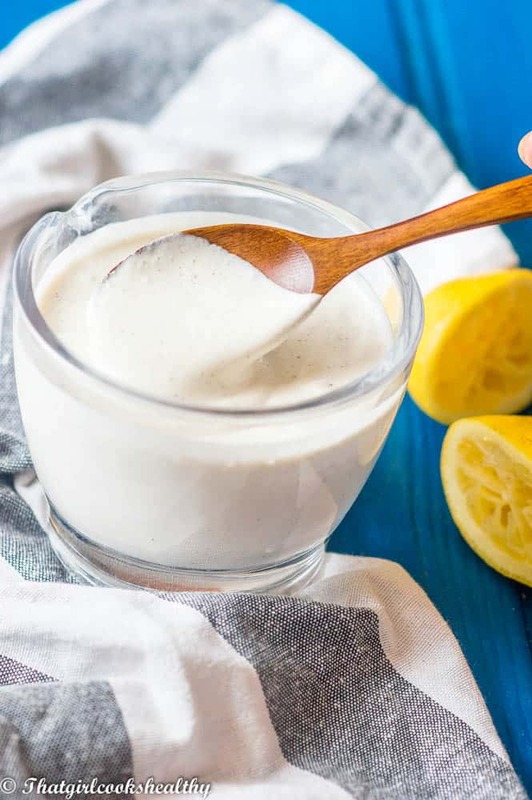 The main ingredients in mayonnaise is eggs, oil, vinegar, lemon and some water. Consumers and food enthusiasts are very serious about their dressing, you will never find a restaurant or food establishment which doesn’t offer some form of dressing or have it placed on the table, readily available to use. Based on it’s value in society I thought it was time for me to step up my A game with some foolproof egg free mayo. It’s vegan style and free from those dreaded additives and preservatives. What I did was puree some blanched almonds in the blender with some other condiments – mustard powder, black pepper, pink salt, lemon and coconut oil. You can use sunflower seeds instead of almonds and yield the same results – I have tried both. The coconut oil will give the mixture a wonderful silky smooth texture with some medium chain fats that are easily digestible and optimise our body’s good fats. Add all of the ingredients to a blender with the exception of the coconut oil and blend until smooth and creamy. Begin to add a small amount of coconut oil to the blender until the right consistency is achieved. Pour in some more if necessary then taste and season accordingly. When finished store in a jar and use within a few days. Thank you for this recipe. I have searched high and low for a vegan mayonnaise that uses almonds instead of the “normal” cashews–as I have an almond tree. Instructions are really easy. 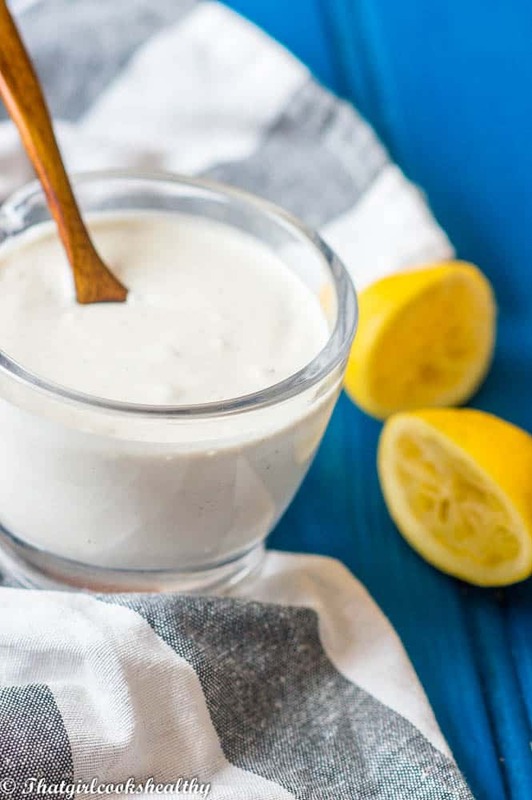 This recipe is a great start to use for many variations of mayonnaise as well. Once again thank you! I am subscribing right away. Hi Nick, thank you and I am so glad that I can assist your dietary needs.